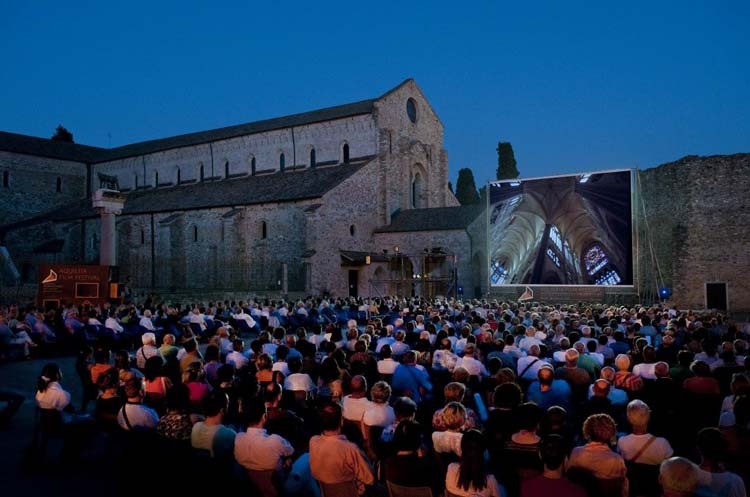 For the last nine years, during the last week of July, the mighty square before the Basilica of Aquileia has become the stage of Aquileia Film Festival, a contest of archaeological films organized by Fondazione Aquileia in collaboration with Archeologia Viva, Firenze Archeofilm, and the support by the Municipality of Aquileia. Three nights dedicated to archaeological films and conversations with leading journalists interviewed by Piero Pruneti, director of the magazine Archeologia Viva. The contest sees a selection of the best international archaeological and historic documentaries being voted by the public and eventually awarded the Premio Aquileia, a prize consisting in a mosaic produced by the School of Mosaic of Friuli. The three festival’s nights offer the chance to explore the arts and archaeology from different perspectives, including screenings and interviews with field experts. AFF makes a precious chance to recall and disseminate the value of our cultural heritage, by conveying accurate scientific contents with the help of the spectacular appeal of the pictures. Admittance to the event is free. In case of bad weather, screenings will be held in the Sala Romana facing Piazza Capitolo (capacity of the room: 240 people; tickets are distributed at the entrance on a first come first served basis, starting from 8 pm on the same day).